Go behind the scenes with the Nike Hypervenom 3. The EA SPORTS mo-cap process brings the real world of sports alive in video games, capturing the smallest details to build immersive worlds. 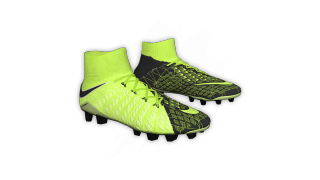 The Nike Hypervenom 3 is a real boot, built by Nike, inspired by the EA SPORTS mo-cap process. Go deep inside the development process with the EA SPORTS team. 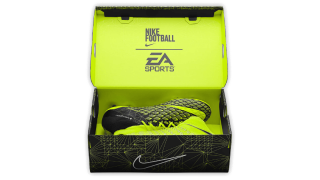 How did the team feel about a Nike boot being inspired by the EA SPORTS mo-cap process? We take great pride in capturing true-to-life visuals, and to see that process inspire the Nike Hypervenom 3. It’s a bit surreal. We’re totally excited to see it come alive and thrilled to have Nike find inspiration in our creative process. It’s always a rush here to get a chance to work on the latest Nike boot designs. In a way, they inspire our art team as well. How does the EA SPORTS team collaborate to create objects in game? EA SPORTS motion capture helps our team break down real world objects into building blocks or shapes. It's a constant iterative process of scanning these objects, using a variety of techniques into a high resolution 3d format which we use as reference material. Through creativity and collaboration on our dev team, we’re able to use those reference shapes to create the final object in game. It’s a lot of fun. The meshing on the side of the boot denotes our combined collaboration to build better products. 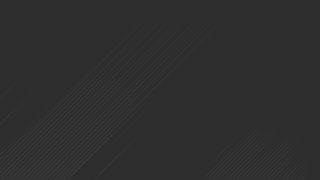 It’s key that we work together to create high-quality details for EA SPORTS titles. How does Frostbite unlock enhanced visuals that are true to life? The Frostbite engine now gives us more freedom than ever before. We are able to push our titles graphically and mechanically by a huge margin. With the plethora of new options available in the engine, we are using them to simulate how materials on assets would react to light in the real world through a process known as Physically Based Rendering. This helps us push that extra mile in making experiences as true to life as possible. 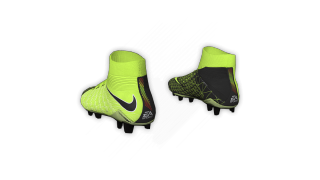 What were some of the coolest small details that you added to the Hypervenom boot? 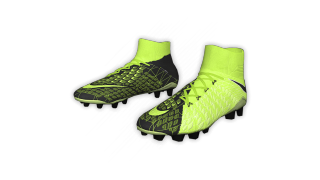 For the Hypervenom we had to actually go in and hand draw each and every line in the design. It was really complex. 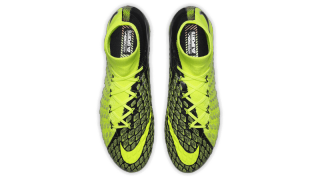 If you look closely, there are even the special limited boot numbers on the inner sides. We had to iterate a few times to get the color gradient designs on the back right, but Nike and our own dev team gave us quite a lot of freedom to tackle it the way we felt was right. 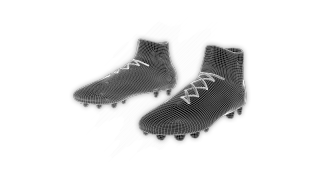 How long does it take to render a boot in game for EA SPORTS? Every boot goes through a couple of processes to be featured in-game. After the artist does a first pass, it is reviewed by the dev team along with me and feedback is given.  This happens a few times until we get every small detail on it right. Then the manufacturers also give it a run through. This iterative process is done on all of them and ensures we stay true to the original vision. All these together takes around a week on a boot. 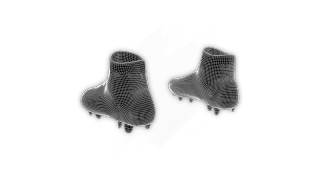 How many different stages of mo-cap does a boot go through during development? This year we have been using a newer technique of capturing objects using a more higher definition scanner. It is usually only done once per asset. In the off case that there are details that we feel were missed, a request is made for an additional scan. 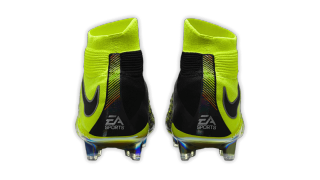 Is there anything else you wanted to highlight about the process of developing the boot for EA SPORTS? We really want to emphasize that it’s never a single person’s effort. Every shoe or every asset in our titles goes through many people. 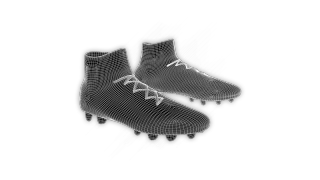 All who are so dedicated to bringing out the best in it (Be it giving that last-minute feedback or adding that microscopic detail on the cleat) and wanting to do maximum justice to the original. We want to thank the artists, dev team and the people at Nike for the opportunity and for bringing it to completion. Ultimately, the artists were given a lot of freedom to add their own little twists here and there and tackle the creation in the way they saw fit. That’s what makes a special project.